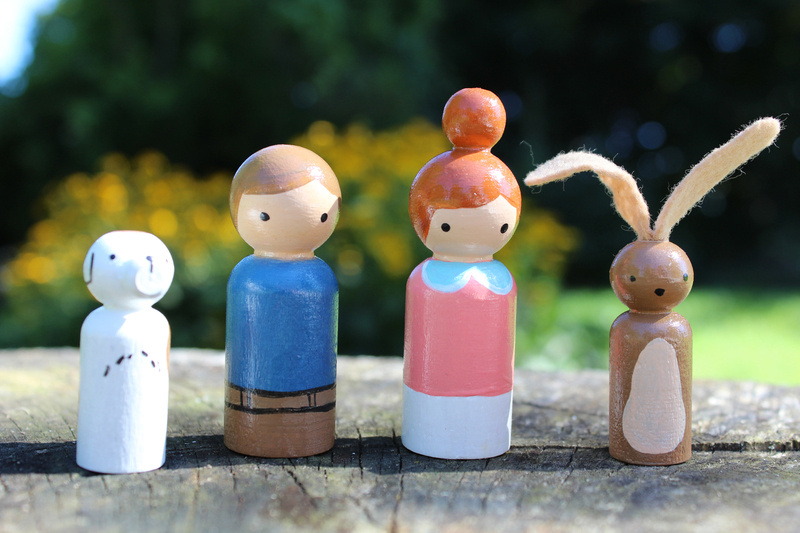 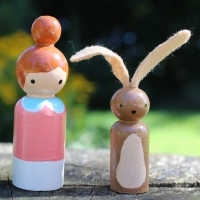 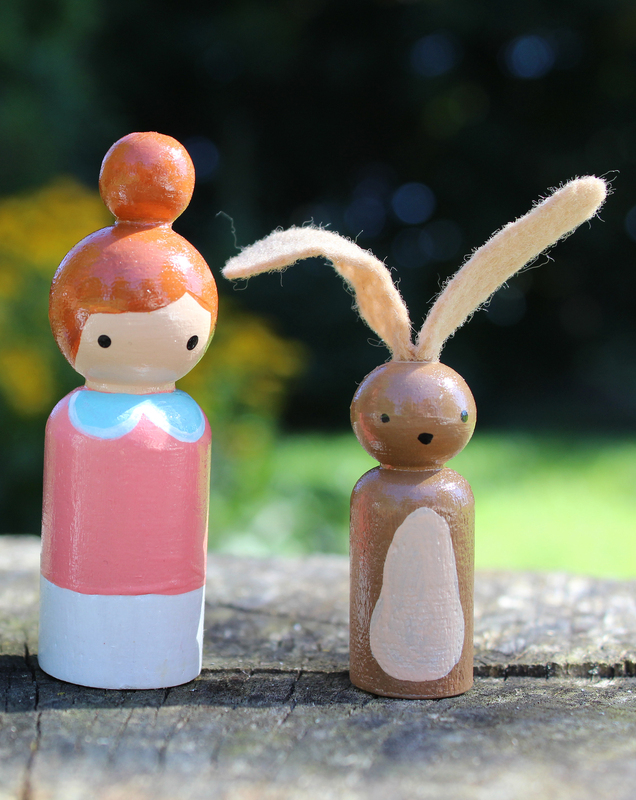 The cutest little wooden peg dolls ever! Each set of 4 comes in their own little drawstring cotton bag for easy clean up and travel. 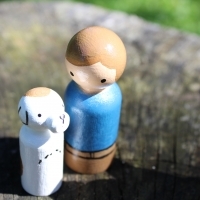 Where will Addie, George and friends go with your little one? 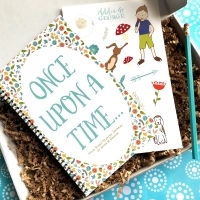 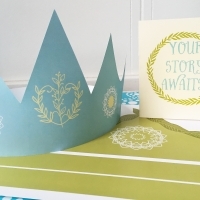 Pair with our Once Upon a Time Storystarter Set and together you can write down your stories and create new adventures! 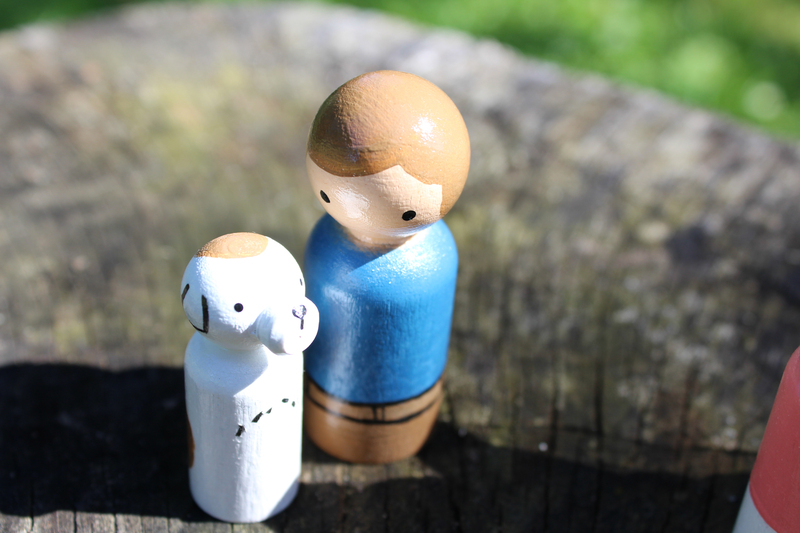 Each is handpainted and sealed. 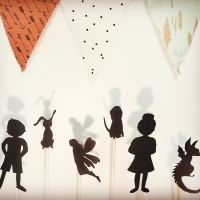 Recommended for ages 4 & up. 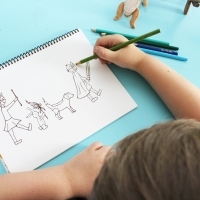 Coloring Book & DIGITAL Copy!